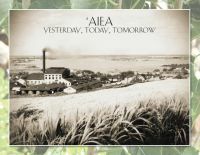 The ‘Aiea Neighborhood Board will recess for the month of June. The board’s next meeting will be on July 9th at 7pm at the ‘Aiea Public Library. The ‘Aiea Community Association will meet as usual on June 18, 2018 at 7:30pm at the ‘Aiea Public Library. Hope to see you there.